Driven by determined Polish vintners the fledgling Polish wine industry is steadily growing, in spite of high startup costs and government obstacles. Presently the number of legally registered wineries is just 78, making it a niche, but it’s over 50% more than last year’s number. For the time being the Polish winery market is still very small. Roman Myśliwiec, organizer of the Galician wine contest “Galicia Vitis” and Chairman of the Polish Institute of vine and wine, in an interview with Wyborcza pointed out that this year 77 of the country’s vineyards participated in the contest – last year there were just over 40. Those wineries that want to sell their liquor must first submit the relevant application to the Agency for Agricultural Market (Agencji Rynku Rolnego or ARR). The ARR tells us that there are more and more Polish vineyards. However, as Iwona Ciechan, a spokeswoman for the ARR press release points out, it is not known how many bottles of wine produced in Poland go up for sale. Why? Because accordong to Ciechan “for the time being Polish grape-based wine is a niche product that is available in catering, online stores and some wine stores”. In this year’s contest of wines “Galicja Vitis” showed 277 wines from 15 countries of Europe and the world. Our wines did very well in this competition, because 22 of them won awards-says Roman Myśliwiec, the organizer of this international event. Does this mean that our shelves are slowly filling up with more domestic products? To be able to sell their crop to begin with, vineyards need three seasons, say specialists. The Polish are still learning how to make good wine, and learning takes time. In England, for example, this process (since the founding of the first vineyards in the first 50 years of the 20th century, until the sale of the finished product) took about 20 years. According to data from the ARR there is about a thousand hectares, on which the vines are grown. However, most of this crop is amateur. It’s a very expensive profession. To start the production of wine for sale, need about 1 hectare of land. Not counting the price of the land, for the purchase of equipment and adaptation of buildings for production needs about 120 thousand złoty. -stresses Myśliwiec. But in order to produce wine to supply, it takes at least 3 to 5 acres of land. The high cost of the production of this wine is a factor, including a not so favourable climate. However, according to an expert, our vineyards can compete on European markets not with quantity, but the quality of the wine sold. Produced in Poland, white wines are of very good quality. Local spirits also have big chances in terms of sparkling wines or liqueur, says the competition organizer. A spectacular success and gaining of foreign markets, however, is unlikely, because of all of these factors. 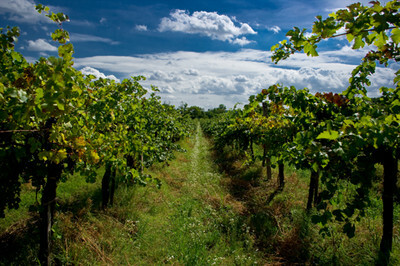 Despite the amendment to the Act of making and bottling of wine products (changes entered into force on 22 January this year) it continues to act as an obstacle to the development of Polish vineyards. It is not just the matter of excise duties, but more so all of the procedures for registration. 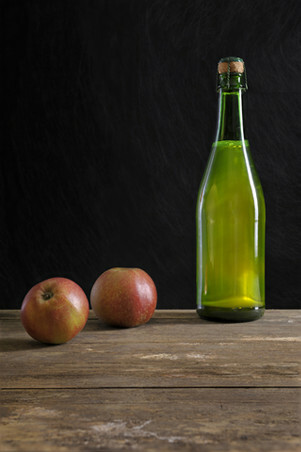 If a bottle produced in Poland wine costs about 40zł (price of the wine can reach as much as 80zł per bottle), then the manufacturer must give 1.4zł excise duty to the State budget. To be able to sell their wines, you need to go through six different offices, starting with the agricultural market Agency, and the Customs office, not being able to sell until after a State inspection of plant protection and seeds. The vineyard should be reported to 15 July of the given year in the ARR, then it starts with Customs Office checks on its preparation, for production and sales. Winemakers must still be screened by health inspection and have a business report. “It’s quite a lot to go through, so many winemakers resign from the possibility of selling their wines”, says our expert. In his opinion, the development of Polish wineries is also blocked by EU directives. “The requirements for the production of wine in other countries are not so strictly adhered to”, he added. Wacław Szczoczarz of Rytwiany, near Staszów has been leading for 10 years but has not entered into the records of winemakers for legal sale, he is undecided. He is Wine-growing on 0.5 ha of land. “For me it’s mostly a hobby, because I usually work with fish farms. In the course of the year I’m able to produce about 1,000 bottles of wine”, says Szczoczarz. “But I can not sell liquor. I would have to find a niche audience who will be willing to pay for a bottle of a sufficiently large amount” He adds. There is a draft amendment with a view to facilitating the sale of wine produced in the local vineyards. But no one is sponsoring the amendment to see it goes through. 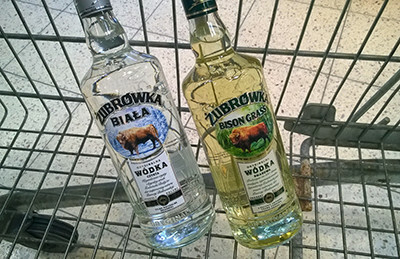 “Local wine producers disagree with the law on child sobriety” says Myśliwiec. In his opinion, its conditions prevent regional wines for sale by the winery, for example, to a neighbour who has a restaurant. The vintner can sell their wares only through wholesalers. They can optionally register for wholesale activities, but there are huge financial outlays for that. Fortunately, despite the complex procedures in Poland, wine arrives. 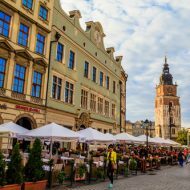 “It demonstrates the enormous passion and determination of Polish winemakers.” According to the agricultural market Agency, last year was a record for wine sales. Iwona Ciechan stresses that last year 49 registered winemakers produced almost 1979 hectolitres of wine. This year there are already 78 registered. Vines grow on an area of 129.3 ha. If you enjoyed this post, please Like or share!